On February 26, Ohio legislators had the opportunity to meet and mingle with 42 independent college students and advisors during the 6th Annual Independent College Day at the Ohio Statehouse. 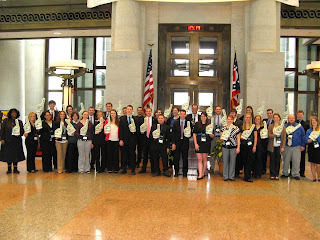 This event brought students from eight campuses to Columbus to advocate on behalf of AICUO members and raise awareness of Ohio's independent colleges and universities. 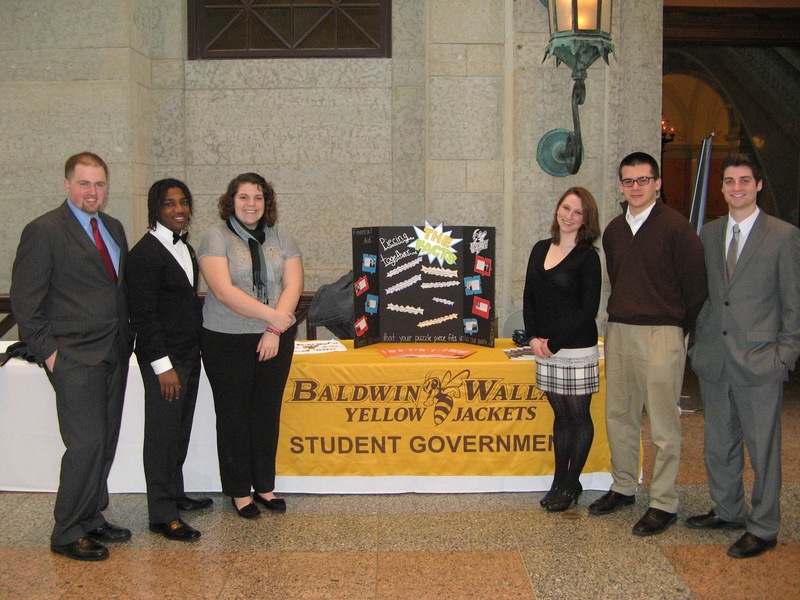 More than 30 legislative offices (staff or legislator) perused the display tables that highlighted each campus in attendance and also had the opportunity to dine with the students and gain a further understanding of the importance of our independent campuses and their respective roles in their communities. 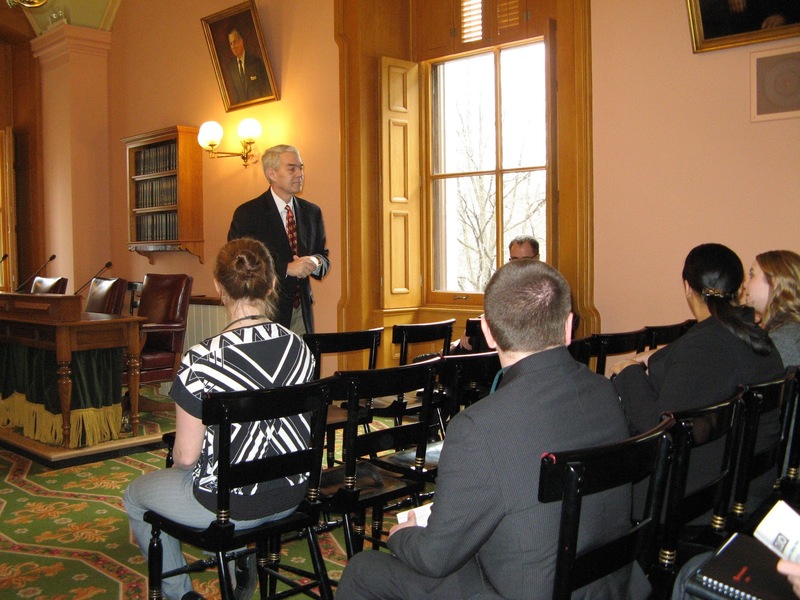 In addition to discussing their respective campuses with legislators, the students were invited to join Senator Randy Gardner (R-Bowling Green) in a breakout session where he talked to them about what being a legislator is like. The Senator also wanted to hear from the students about what life is like these days as a college student. The night before the second Independent College Day (March 6) the weather forecast was predicting 4-8 inches of snow in the Central Ohio area. 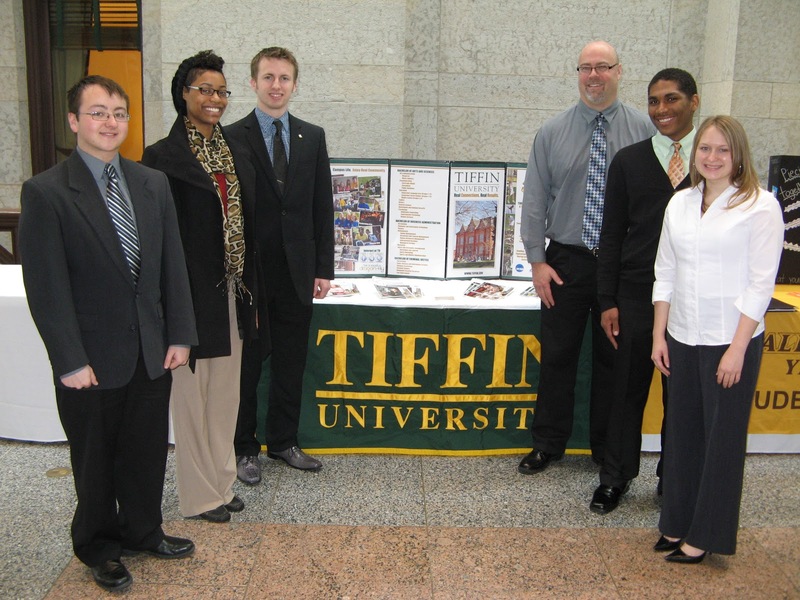 This was a little much for many of the campuses set to appear in Columbus, but two campuses (Tiffin University and Baldwin Wallace University) braved the icy roads and slush to make it south. AICUO staff, with only sixteen students and two advisors in the quiver, commenced a day of advocacy on behalf of independent colleges and universities. Immediately after breakfast and set-up of the display tables in the Atrium, the students spent the morning in the Ohio House Finance Subcommittee on Higher Education; the students witnessed the testimony of AICUO President, Todd Jones, as well as testimony from public sector side with testimony from IUC (inter-University Council) President, Bruce Johnson. The students then had the opportunity to meet and chat with staff or legislators from 39 legislative offices about their experiences with independent colleges and why it is so important to maintain a role for them within the higher education policy-making. Student advocates also had the chance to witness House and Senate sessions in the afternoon. The days were complete successes and legislators and staff have told me all week long that they appreciate the time that students took from their busy schedules to come to the Statehouse and fight for something they believe so strongly in. The conversations, intimate and/or brief were appreciated on both sides and gave each a chance to learn just a little more about the lives of either legislators or college students.